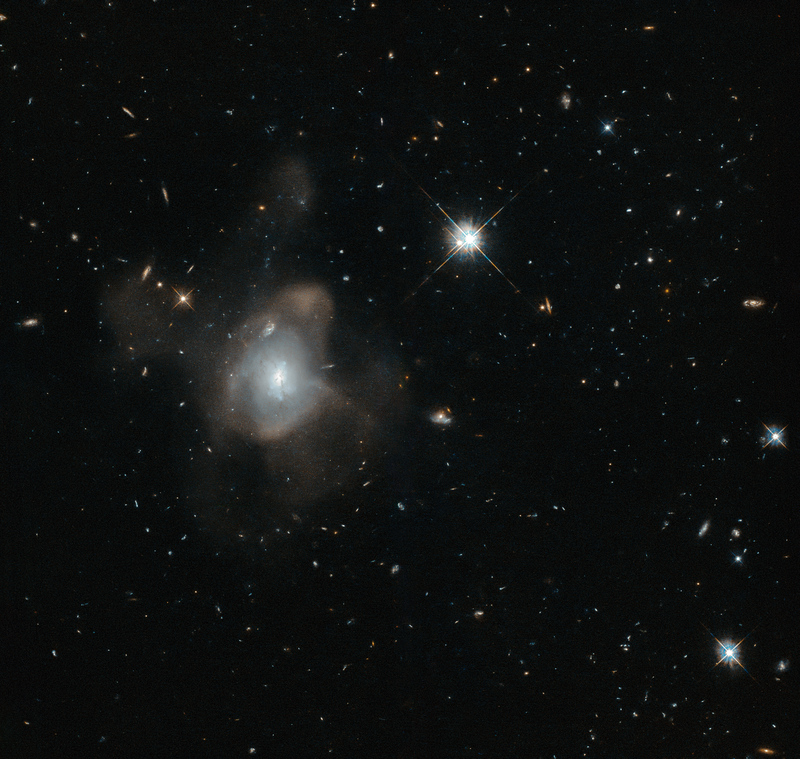 This curious galaxy — only known by the seemingly random jumble of letters and numbers 2MASX J16270254+4328340 — has been captured by the NASA/ESA Hubble Space Telescope dancing the crazed dance of a galactic merger. The galaxy has merged with another galaxy leaving a fine mist, made of millions of stars, spewing from it in long trails. Despite the apparent chaos, this snapshot of the gravitational tango was captured towards the event’s conclusion. This transforming galaxy is heading into old age with its star-forming days coming to an end. 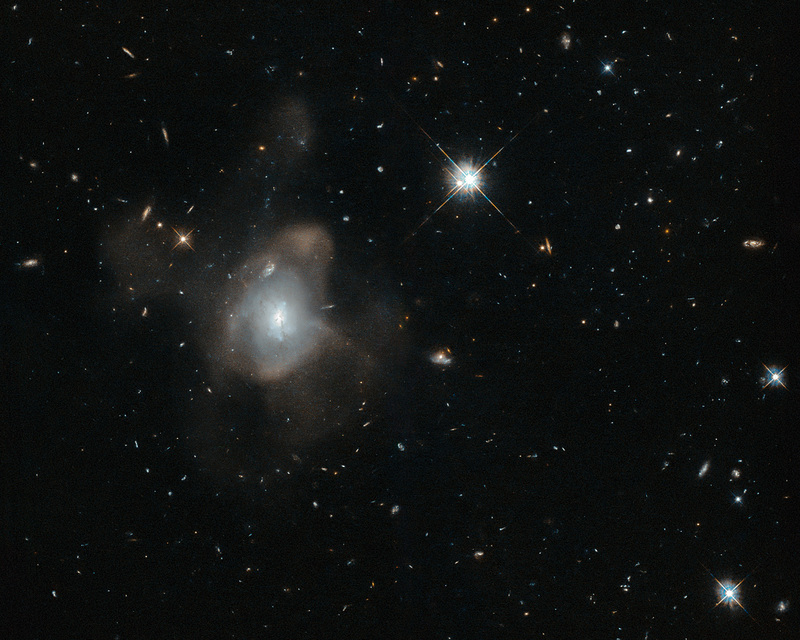 The true drama occurred earlier in the process, when the various clouds of gas within the two galaxies were so disturbed by the event that they collapsed, triggering an eruption of star formation. This flurry of activity exhausted the vast majority of the galactic gas, leaving the galaxy sterile and unable to produce new stars. As the violence continues to subside, the newly formed galaxy’s population of stars will redden with age and eventually begin drop off one by one. 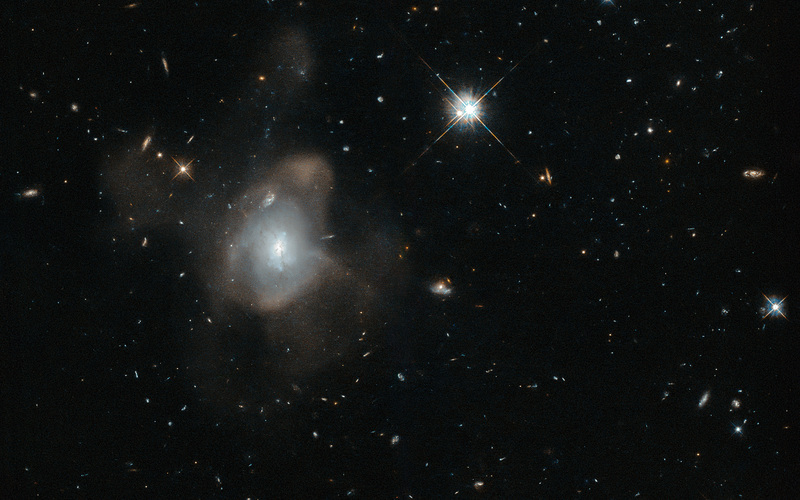 With no future generations of stars to take their place, the galaxy thus begins a steady descent towards death. Position (Dec): 43° 28' 40.92"